The Alhambra is one of the most visited and most impressive tourist attractions in Spain, and it’s easy to see why millions of people head to Granada just for the chance to wander around the fortresses, palaces and gardens that were once home to the rulers of the region. 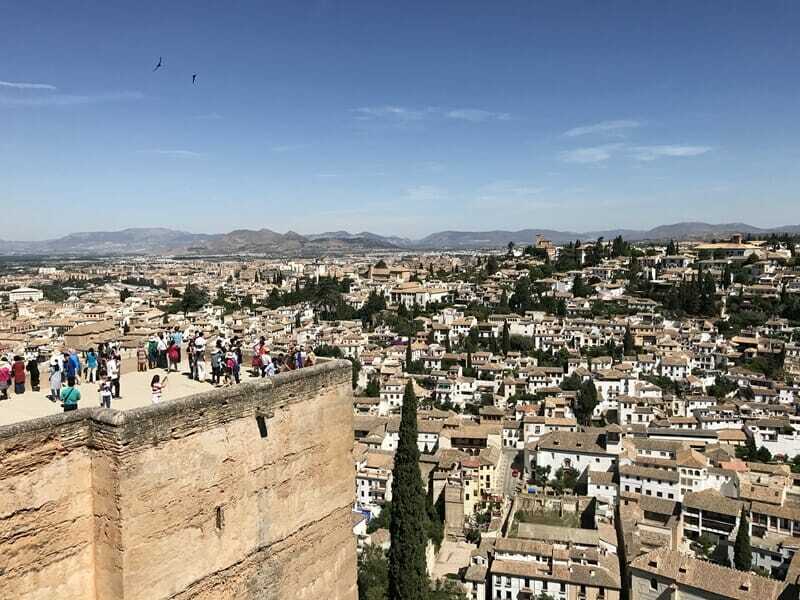 The Alhambra towers over the city high up on a hill, and the views across Granada are simply put, breathtaking. It’s thought that the Alhambra dates back to the 9th century, and was extended to the complex it is today throughout the next four to five centuries; it reached its pinnacle when the first king of the Nasrid dynasty built his royal residence in the castle of the Alhambra in the 13th century. Though the Alhambra has largely been abandoned since the 18th century, the complex has been repaired and restored over the past two centuries and opened its gates to the masses. 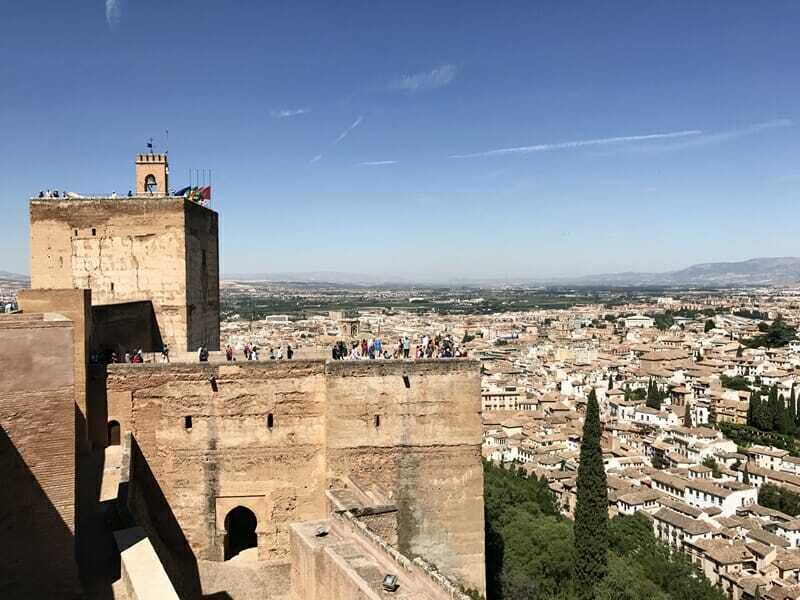 Wandering through the Alhambra can only be described as a once-in-a-lifetime kind of experience that transports you back to a regal and flourishing age in Andalucia, but trying to plan your visit and secure tickets can be a real headache. 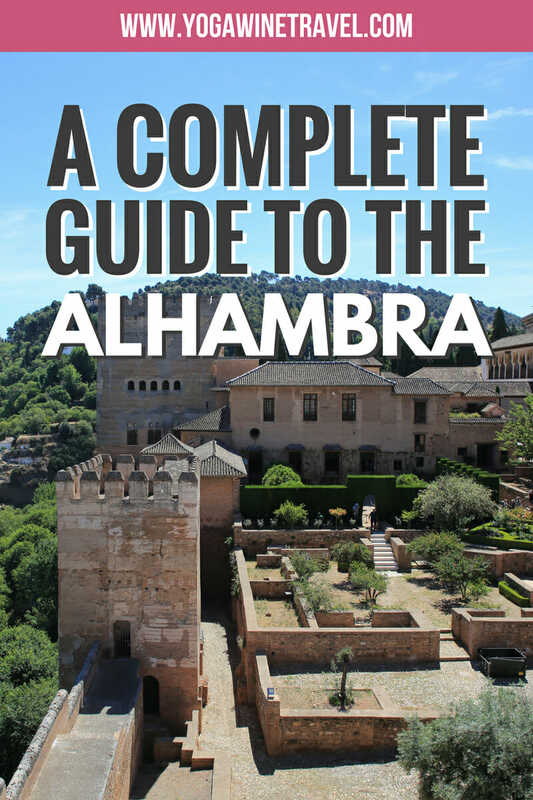 If you are visiting this part of Spain, read on for how to plan a fuss-free trip to the Alhambra! 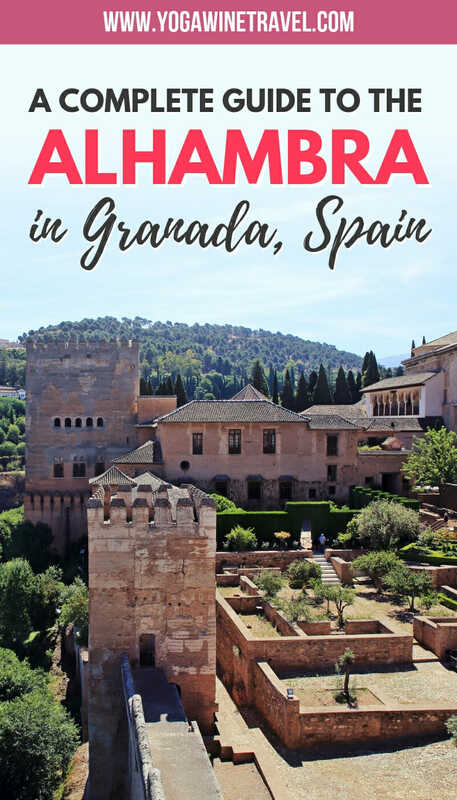 In order to get to the Alhambra you should head to the city of Granada in Andalucia. This region in the south of Spain is home to incredible cities steeped in rich Moorish architecture and culture, and is a must-visit destination. While you can fly directly into Granada’s own airport, major international airlines tend to fly into Madrid instead. From Madrid, Granada is a 4 hour drive. 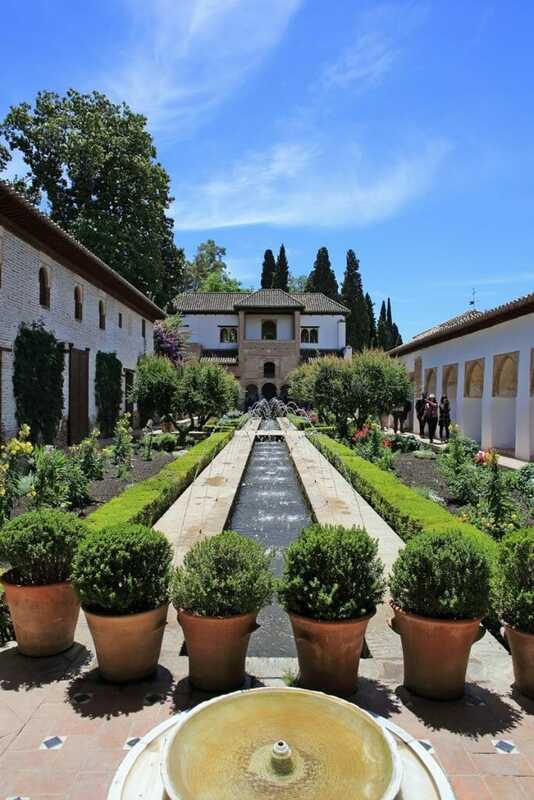 Once you have arrived in Granada, you have a few options to get to the Alhambra. By car: Take the ring-road around Granada towards Motril and follow the signs for the Alhambra. The drive will take you approximately 20 minutes and there is a large parking lot next to the main ticket office. When we were there in 2017 we paid 8 Euros to park the car for 4 hours. By bus: Bus C3 and C4 also take you to the Alhambra complex. For route maps click here and here. 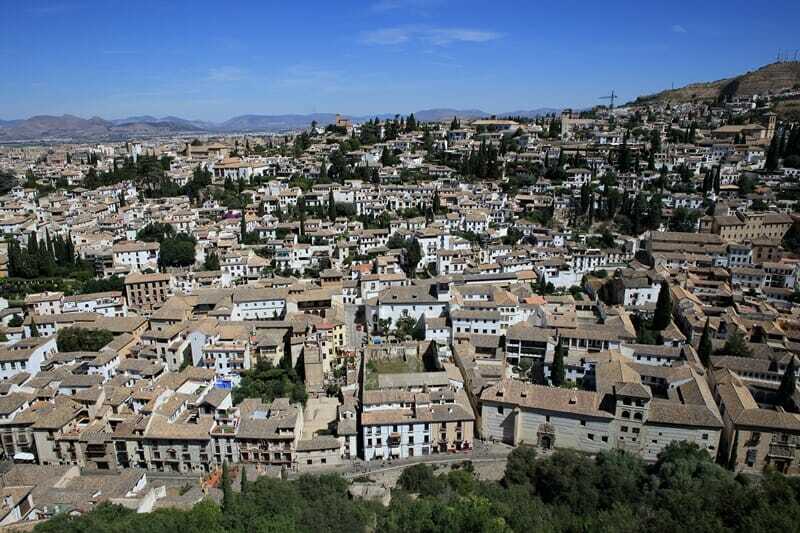 If you are visiting Granada, the best place to stay is in the historic center of the city. We chose to stay at a fabulous boutique hotel, Hotel Párraga Siete. The hotel’s design is warm and welcoming, and the staff were no exception – extremely helpful and friendly. There are plenty of restaurants nearby and the rooms are spacious and very comfortable. 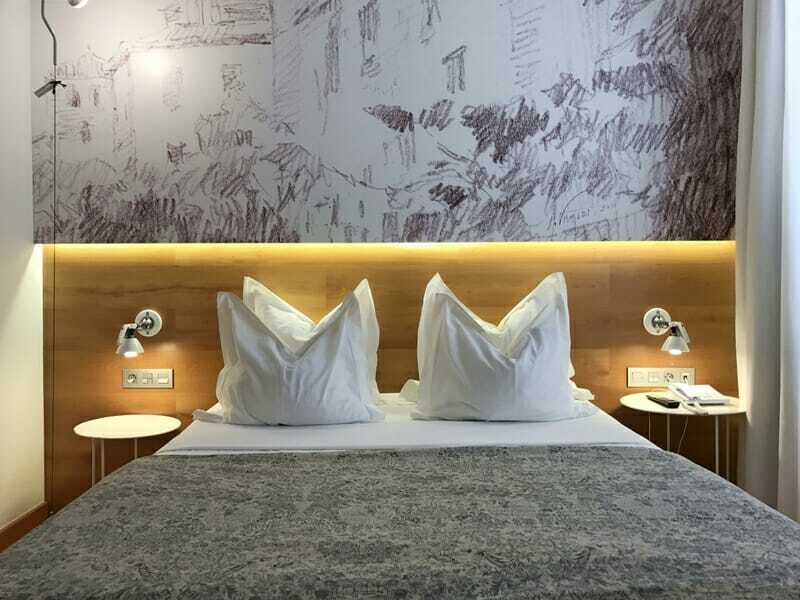 Click here to check current rates for Hotel Párraga Siete or click here to see other highly rated hotel options in Granada! If you are driving you need to give your license plate details to the hotel as non-registered cars are not allowed in the historic center. There is a secure parking lot across the street from the hotel (20 Euros per day). 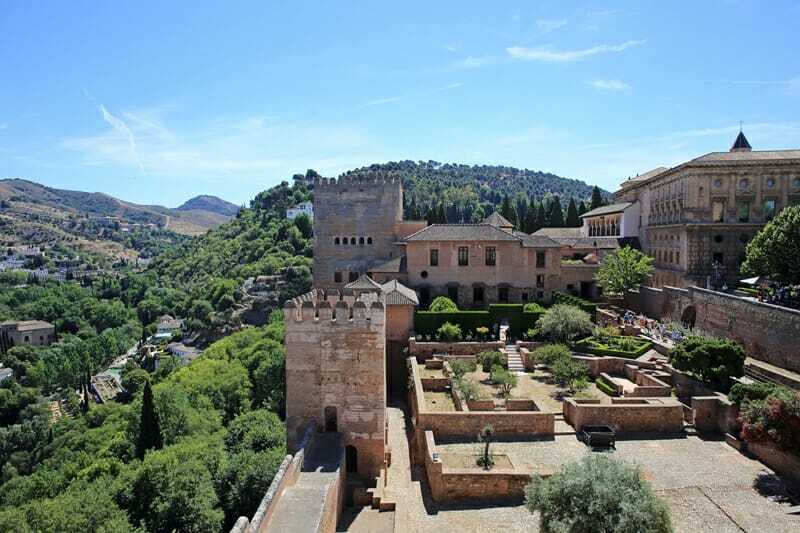 The Alhambra is made up of a complex of palaces, the fortress and the Generalife gardens and palace. In order to visit the three sections of the Alhambra, you should set aside 3 to 4 hours and expect to cover 3.5-4 kilometres on foot. For the north Americans out there, that’s about 2-2.5 miles of walking. According to the council that manages the Alhambra, there are a few recommended routes. Here is a recommended tour map. 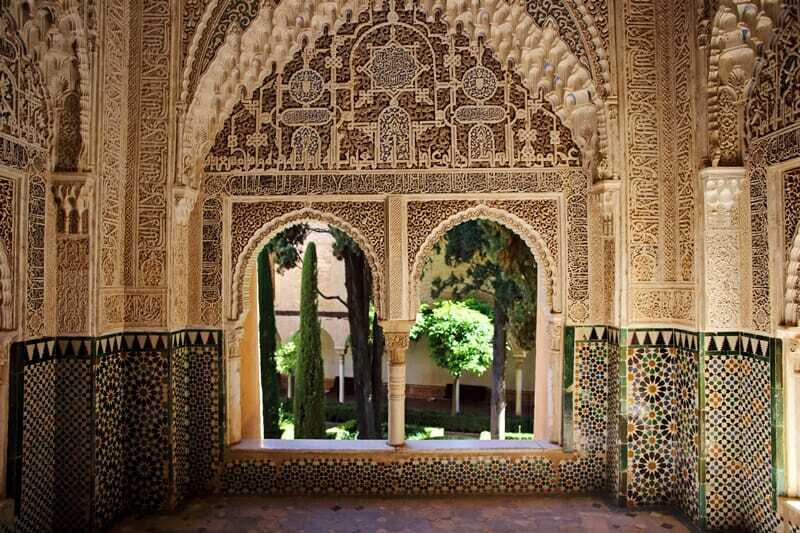 The Nasrid Palaces are the most famous out of the entire complex and is made up of three palaces that interweave with one another: the Palace of the Mexuar (the oldest palace), the Palace of Comares (the official residence of the Sultan) and the stunning Palace of the Lions. The architectural details are absolutely incredible, so it’s worth taking your time and appreciating the intricacies of each of the palaces and pavilions. 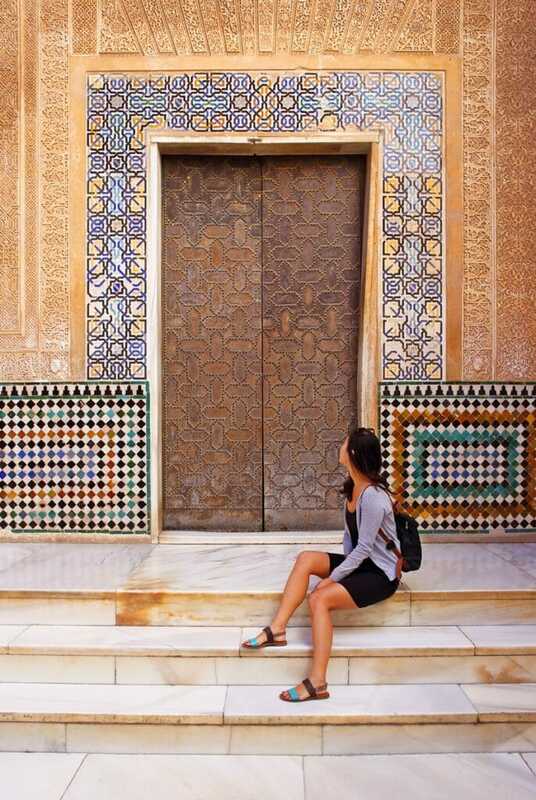 Because of its sheer popularity and brilliant display of Moorish architecture, only 300 people are allowed inside every half hour, which means you have to book a specific entrance time and make sure you’re punctual in order to gain entry. The fortress is one of the original structures from the Alhambra, and is the military area of the complex offering strategic views over the city. You can see the former military quarters (now inhabited by a surprising number of cats), tower of arms, Vela tower and tower of the “Cubo”, a small military tower in the southeast corner. Though the Generalife may look completely separate from the rest of the complex on Google Maps, there is a direct passageway from the other two areas and it will take you no longer than 10 minutes to get there from the fortress or palaces. 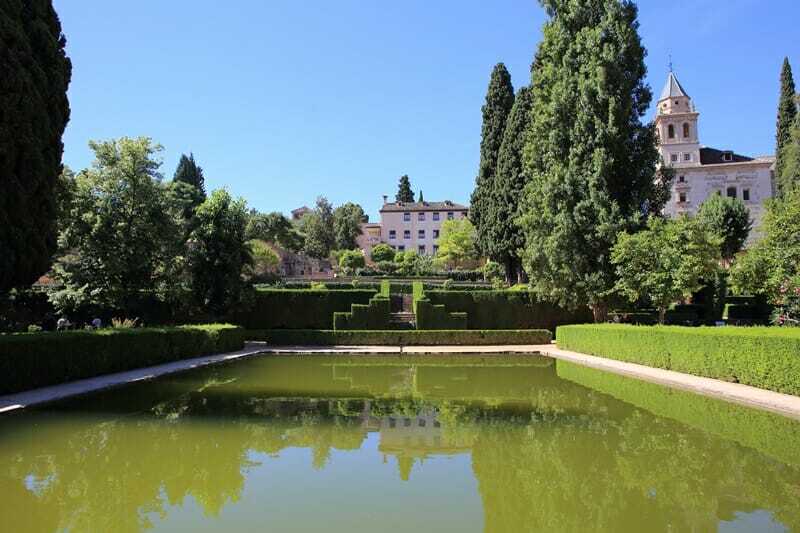 The Generalife consists of lush gardens as well as the summer palace of the Nasrid rulers. This is where things start to get tricky. There are different ticket options and pick up options for visiting the Alhambra, add in the fact that tickets are limited and you’ve got yourself a recipe for disaster. 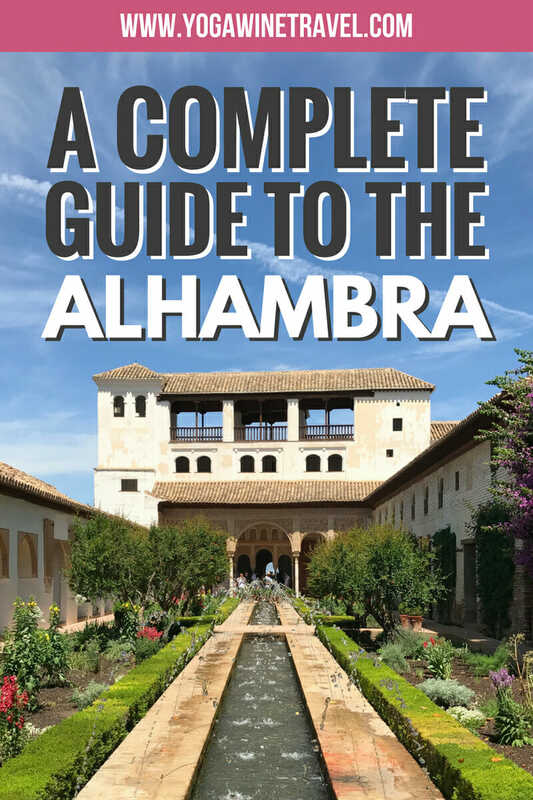 If you only take away one thing from this article then let it be this: do not leave it until the last minute to organize your trip to the Alhambra! 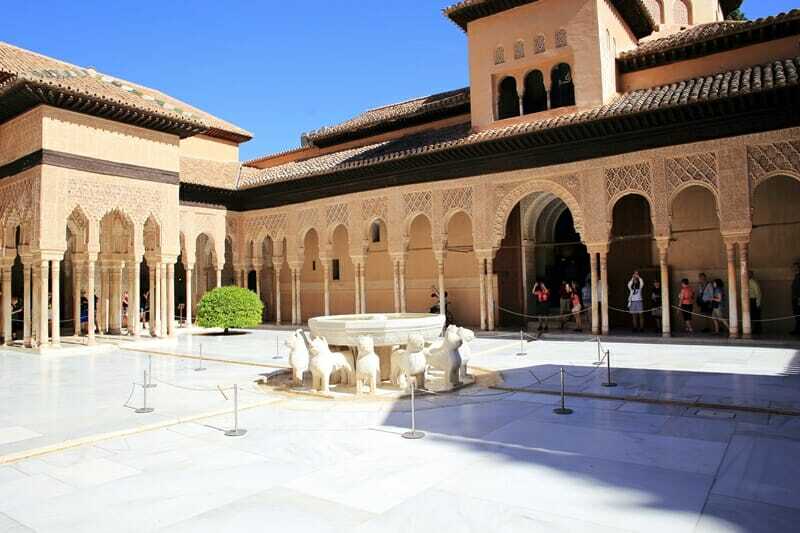 You can book your Alhambra tickets up to 3 months before your trip – the earlier, the better! Only 6,600 tickets for the Alhambra are available per day, and as I mentioned above only 300 people are allowed to visit the Nasrid Palaces every half hour. Alhambra tickets sold out? 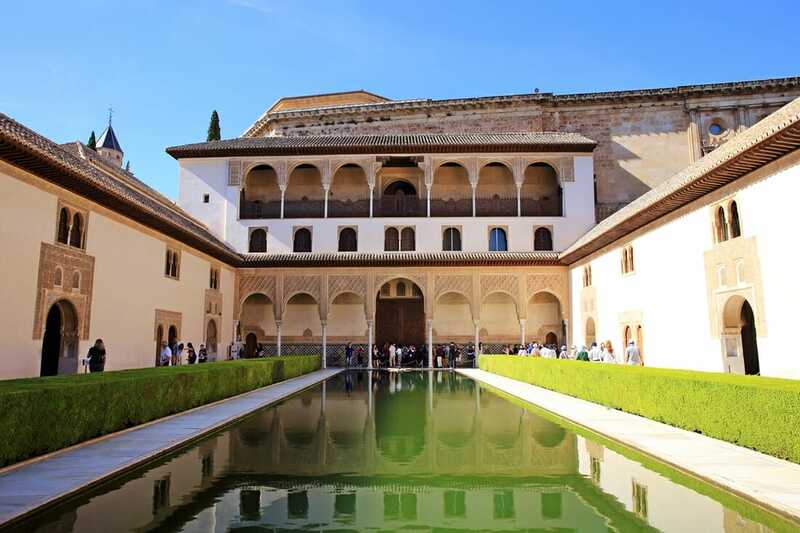 If you’ve left it too late and the tickets or your preferred Nasrid Palaces time slot have sold out for the day, your other option is to purchase the Granada Card which includes entrance to the Alhambra as well as other monuments and museums. The only hitch is that the card is significantly more expensive than a regular ticket. Prior to January 1st 2018, tickets were sold via Ticketmaster. Now, tickets can be bought online from the official Alhambra website. Depending on what type of ticket you purchase, expect to pay anywhere from 5 Euros to 14 Euros per adult. There is an additional fee on top of the tickets (approx 1 Euro). To make things even more complicated, there are multiple ticket types for visiting the Alhambra. If you are a first-time visitor and want to cover the entire complex, you should go with the standard “Alhambra General” ticket. Children under 12 enter for free, but you still need to “purchase” a child ticket. 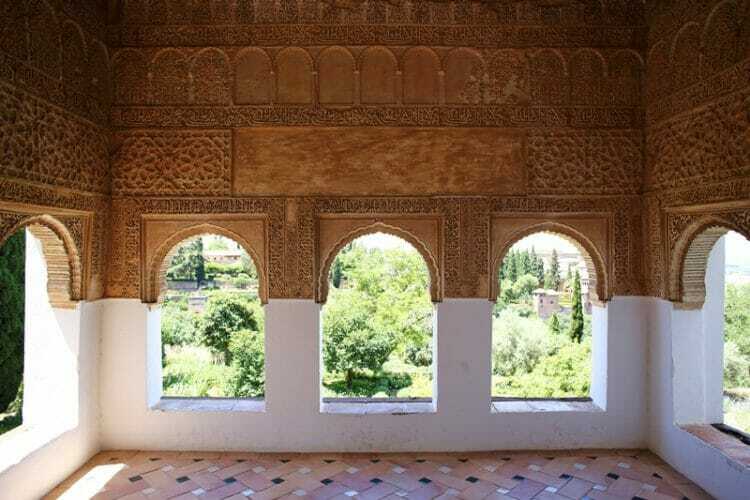 Access to all areas of the Monumental Complex open to the public: Alcazaba, Nasrid Palaces, Generalife, Palace of Charles V and the Bath of the Mosque. The Nasrid Palaces may only be accessed in the time indicated on your ticket. If you do not visit during this time slot you will not be able to visit this part of the complex. If you are booking your ticket online, aim for a morning time slot and head straight to the Nasrid Palaces from the main entrance. Access to the atrium of the Alhambra and the Nasrid Palaces (inc. Palace of Charles V). Does not include the Generalife or Alcazaba. Access to all areas of the Monumental Complex open to the public, except the Nasrid Palaces. Access to the gardens and palace of the Generalife. There are a number of ways to pick up your tickets, and it appears that the Alhambra council now allows you to print your tickets at home as well. Otherwise, tickets purchased online can be picked up from the automatic ticket machines at the main Alhambra entrance pavilion using the credit card used to buy the tickets. You can also pick the tickets up from the ticket office (bring the printed receipt of the booking or the credit card used to buy the tickets) though you can expect to join a long queue. If the reservation is in your name you may need to present your passport or ID. Alternatively, you may pick up your tickets from branches of La Caixa Bank in Granada, although we found it hard to find a working ATM and tried 3 different ones until we managed to find one that actually dispensed our purchased tickets. From the entrance pavilion/ ticket office it takes approximately 15 minutes to get to the Nasrid Palaces, so if you are picking up your tickets the morning of your visit make sure you factor in the time it takes to actually get to the palaces! Visiting Granada in Spain? 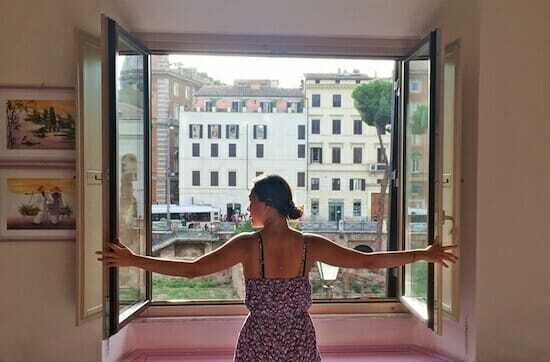 I recommend Hotel Párraga Siete, a wonderful boutique hotel in the heart of the city. Click here to check current rates for Hotel Párraga Siete or click here to see other highly rated hotel options in Granada! 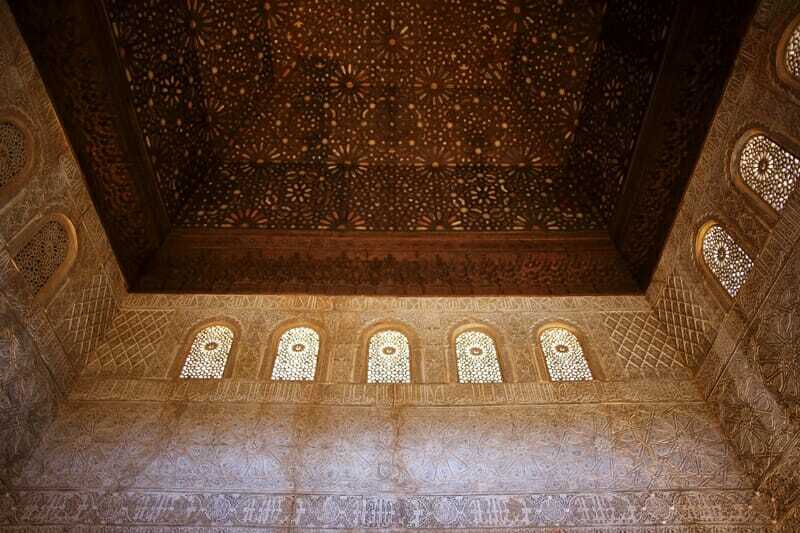 The Alhambra is open every day of the year with the exception of the 25th of December and January 1st. Opening times below sourced from the official Alhambra website. The last visit to the Nasrid Palaces is 1 hour before the closing time. 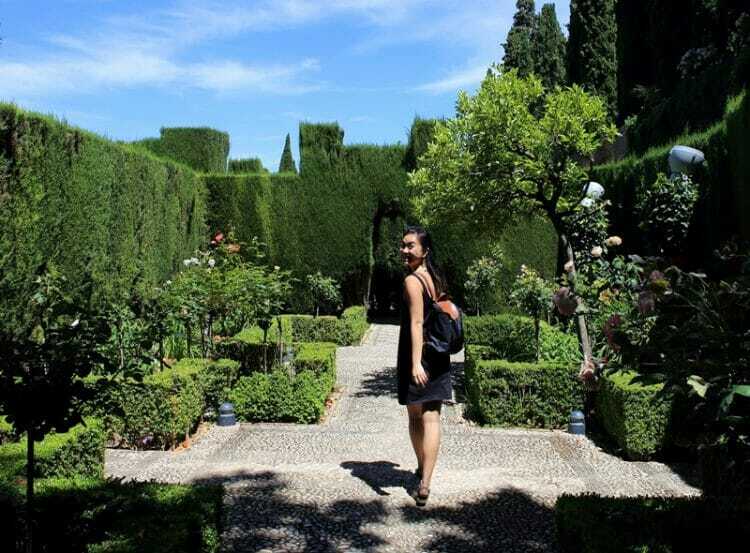 Unlike many monuments in Europe, in my experience there was no specific dress code for the Alhambra – it’s fine to wear clothes that don’t cover your shoulders or knees. However, you will want to wear comfortable walking shoes or sandals. Additionally, no selfie sticks and camera tripods are not allowed, and flash photography is also not permitted. 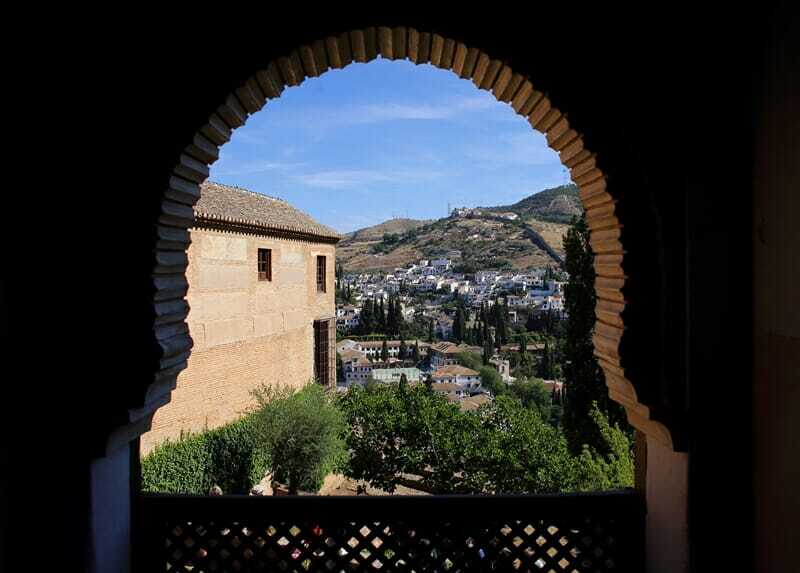 There are many places in Granada to go to view the Alhambra from afar. The complex lights up at night and it’s absolutely worth venturing to one of these view points to watch the Alhambra transform as the sun sets across the city. Mirador San Nicolas is a free sunset view point that takes approximately 20 minutes to get to on foot from the historic centre. There are often musicians busking here, and it does smell suspiciously of a certain herb. However, it does offer a free view of the Alhambra and is a popular spot for tourists and locals alike. 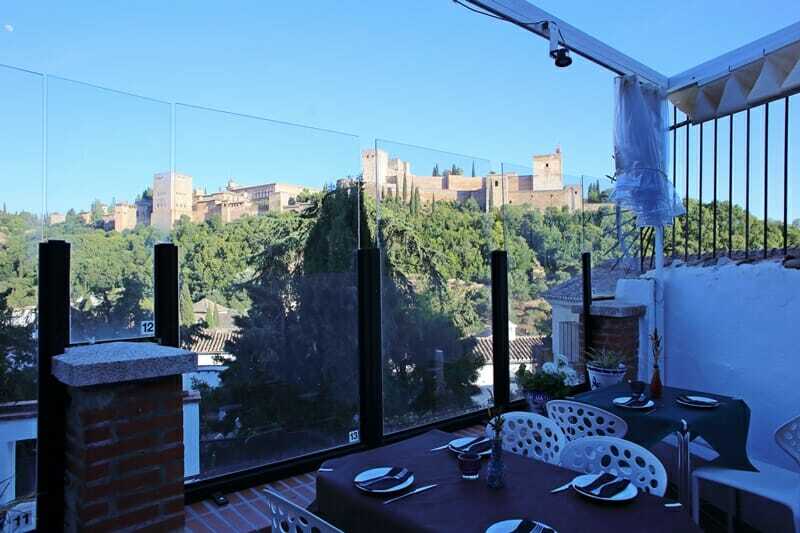 If you want some food and wine to go with the view, head to Carmen el Agua, a small restaurant with an outdoor terrace that offers a fairly unobstructed view of the Alhambra. 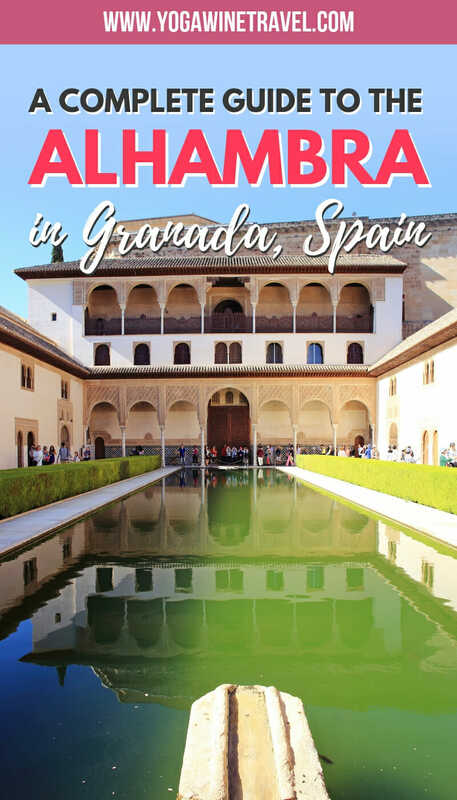 Ready to book your trip to the Alhambra? Click here to check current rates for Hotel Párraga Siete or click here to see other highly rated hotel options in Granada! Looking for other amazing things to see and do in Andalucia? 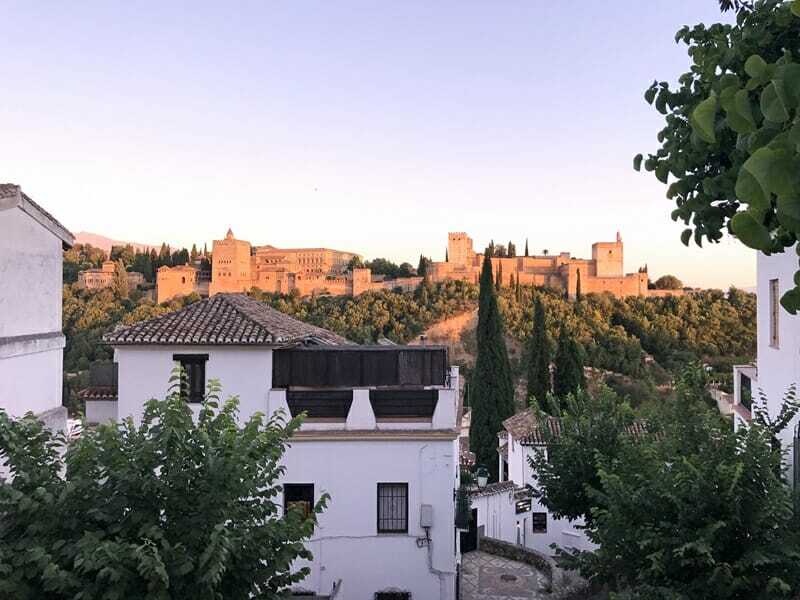 Click here for 8 beautiful cities to visit in Andalucia or head on over here if you’re looking for a 1 week Andalucia road trip itinerary! This post contains hotel affiliate links. If you choose to book your stay using these links, I will earn a small commission at no extra cost to you. Thank you for supporting my website by using these links, I only recommend products or services that I have had positive personal experiences with and think you would love too.